He’s seen the seen the scale hit 340 pounds. But today Al Roker says he’s finally figured out how to control his weight -- and he says he’s never going back to the way he was. TODAY’s popular weather and feature anchor has written about his weight-loss journey in a new book, "Never Goin' Back: Winning the Weight-Loss Battle For Good." On Thursday, he opened up to Matt Lauer about his struggles. A decade ago, Roker made headlines after undergoing gastric bypass surgery and slimming down to 190 pounds from a peak of about 340. But after he shed the fat-guy image, old habits returned. When his mother was hospitalized five years ago, Roker turned to junk food for solace and regained 40 pounds: proof that it’s possible to “eat through a bypass,” he said. Four years ago, Roker told Snyderman, he was able to “put on the brakes” and bring his weight down through a combination of diet, including a cleanse, and exercise. He embarked on a 28-day detox during which he cut out caffeine, alcohol, sugar, dairy and gluten. By the end of the four weeks, he had lost 28 pounds. In addition, he altered his diet permanently: Today he eats only whole, unprocessed foods that are high in protein and low in carbs. And he embarked on a “slow method” workout regime that involves three 30-minute exercise sessions each week. Strength training creates more lean body mass, which in turn burns more calories, Snyderman explained. 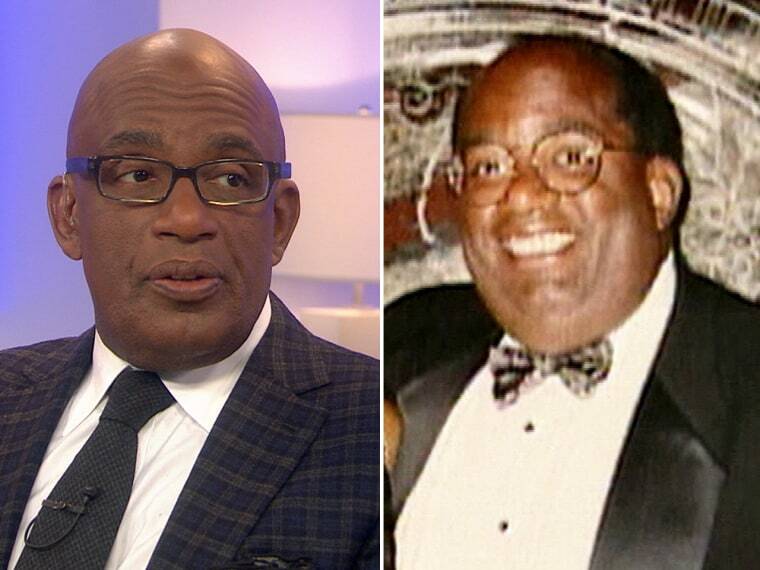 Lauer asked Roker what led him to binge before he altered his lifestyle. In his book, Roker writes about how his weight put pressure on his marriage to fellow TV journalist Deborah Roberts. Even when she pointed out his lack of discipline or low self-esteem, he told Lauer, it didn’t get him to change. Today, Roker added, he is feeling good and enjoying a special relationship with his scale, living by that number. “I weigh myself in the morning and at night, because this way I know where that number is. Dr. Nancy thinks I’m nuts.